All that being said, I actually think the original meaning of the name (gay as a synonym for happy) of this perfume is sort of intriguing in it’s own right. I mean, what a bold name… Gay Life. It’s the sort of name that makes me want to try the contents out as soon as I can (again not a joke of any sort). 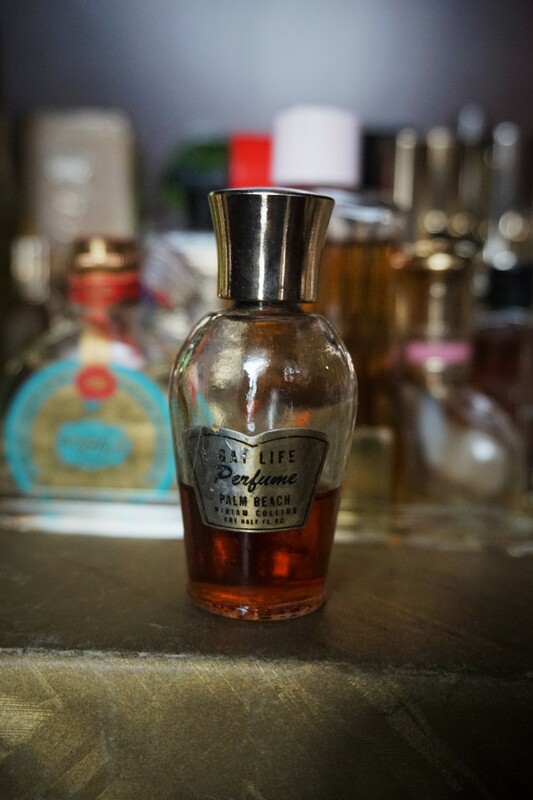 Based on a bit of online research, it appears that this perfume, made by Miriam Collins of Palm Beach, Florida was likely debuted in the 1940’s. Intriguingly it appears to be a lot like Chanel No. 22 (and a little of Chanel No. 5) only with something missing that leaves it more drugstore than Chanel. So, based on Chanel No. 22 (and my nose), I would guess that there are probably notes of lily-of-the-valley, orange blossom (I definitely smell orange blossom), rose, jasmine, ylang ylang, iris, and aldehydes. However, despite its likeness to the delightful vintage Chanels, the drydown is a bit softer, warmer and more mellow, with a sort of tangy leather burn. It’s a lovely, very vintage fragrance.